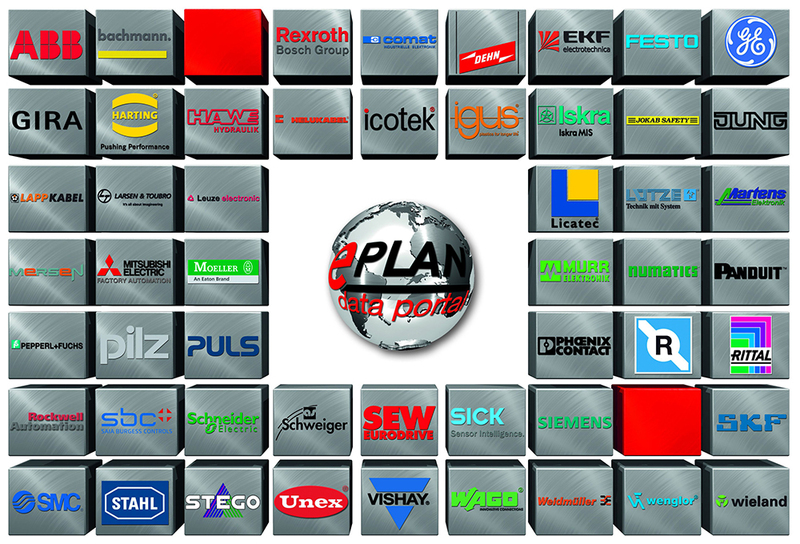 The EPLAN Data Portal allows EPLAN users to access 350,000 articles of component data of over 56 manufacturers from parts drawings to product manual. The Data Portal is the only database of its kind as parts are approved and kept up to date by the manufacturers including Igus, Festo and ABB. New additions include General Electric (GE) Murrelektronik, Omron, Schweiger, Sigmatec, Stego and TKD Kabel. The portal enables users to drag and drop up to date parts drawings into a project, thus significantly reducing design time and the chance of error. For this reason demand for inclusion on the Data Portal is high and as a result the number of components has more than doubled within the last year and is set to continue growing at this rate. The latest addition to the portal is GE adding 700 high voltage switch gear components – enabling EPLAN users to simplify electrical design significantly. In addition Murrelektrinuk have integrated field distributors, cables, protective devices, voltage sources and PLC components into the portal allowing users to access over 270 records including 2D and 3D parts drawings. The largest addition is American company Numatics whom have added over 100,000 fluid valve records. Manufacturers clearly see an advantage in inclusion on the Data Portal as many have extended their product portfolio. Phoenix Contact have added over 20,000 new parts whilst B&R have added 2500 parts including voltage sources, generators, PLC and plug connectors. Companies such as ABB, Weidmüller, Festo and Sick are also amongst those to add additional parts. A subsidiary of Rittal, within the Friedhelm Loh conglomerate, EPLAN UK is a world-leader in computer aided (CAE) software. For almost 30 years the company has been developing innovative solutions for an array of engineering and industrial manufacturing disciplines. The company boasts 600 employees, 40,000 customers and 100,000 licensed installations worldwide.